Board games are a great way for young kids to work on many important preschool skills - social skills, math skills, language skills and problem-solving skills can all be developed through a good quality board game! 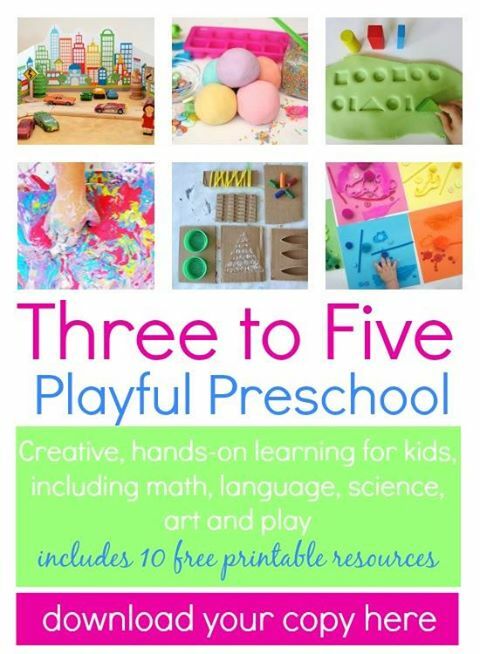 Counting along spaces on the board helps develop counting and one-to-one correspondence, turn-taking is an important social skill as are winning and losing with grace, and many board games also incorporate strategic problem-solving skills and more. 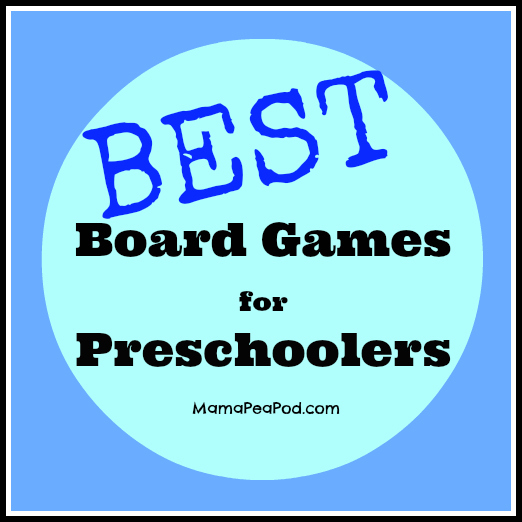 So if you think your child might be ready for board games, here are our top recommendations of the best ones for preschool-aged children to start out with. Let the Family Games Nights commence! 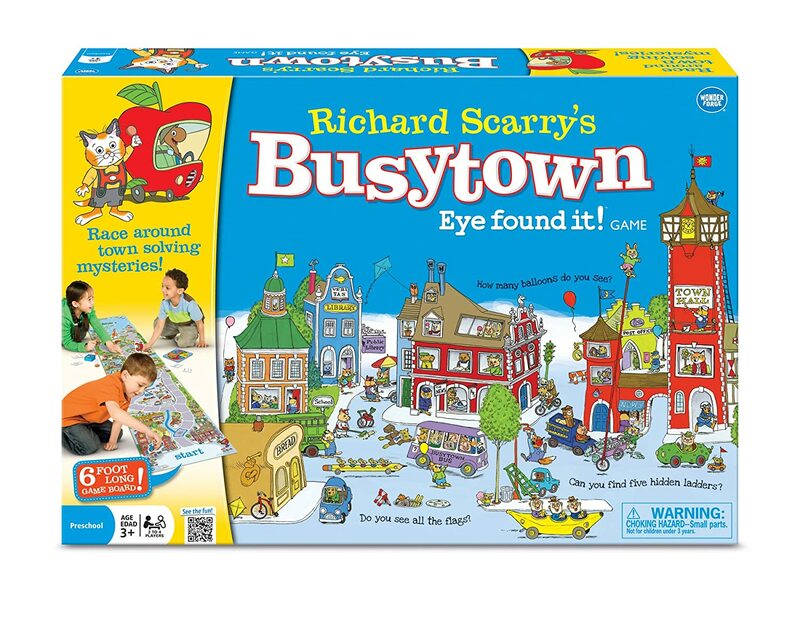 The Busytown Eye Found It! Game is a family favourite - great for developing teamwork, social skills and observation skills as well as one-to-one correspondence. The object of the game is to get your entire team (all players) to the finish line before the naughty pigs eat the entire picnic. Along the way, you need to search for clues on the board using the mini magnifying glasses before the sand runs out of the timer. 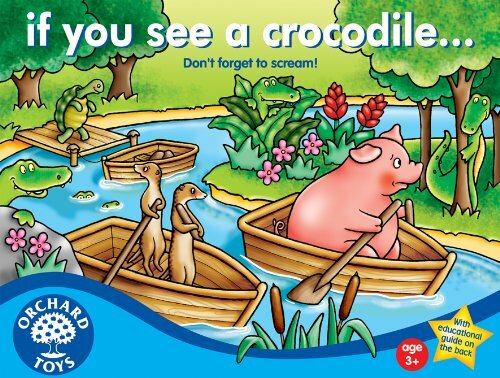 If You See A Crocodile... - this was Princess Pea's first board game when she was 2 1/2 and she just loved it! 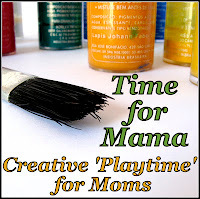 Teaches colours, counting, and one-to-one correspondence. The object of the game is to get to the finish first. Along the way you need to hop along coloured spots and watch out for crocodiles. 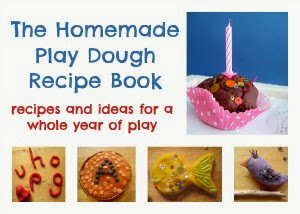 Even more fun if you sing along to the tune of 'Row row row your boat'. 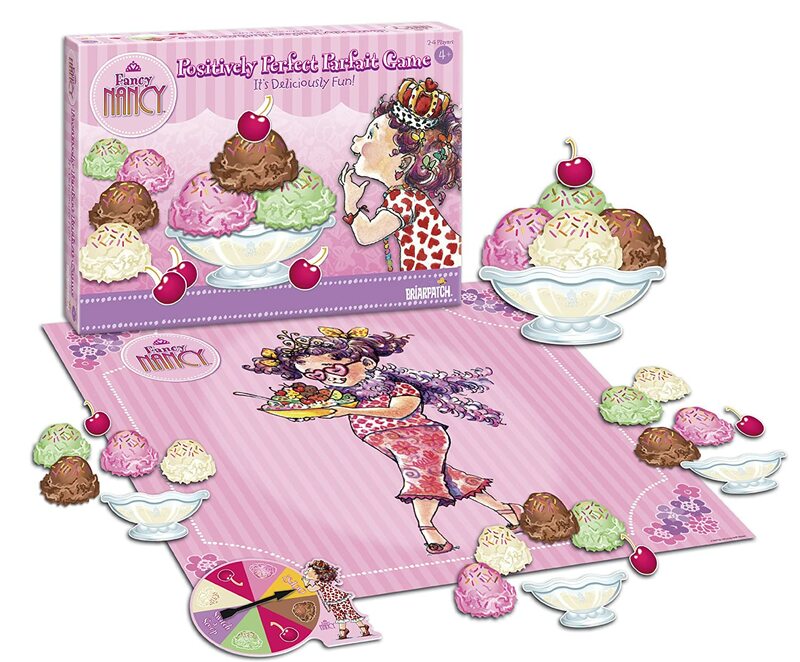 Fancy Nancy Positively Perfect Parfait Game - develops problem-solving skills and social skills. And, of course, what kid doesn't get excited at the prospect of building the ice cream sundae of their dreams?! The object of the game is to build an ice cream sundae consisting of at least 3 different flavours with a cherry on top - but be careful someone doesn't switch your scoops! 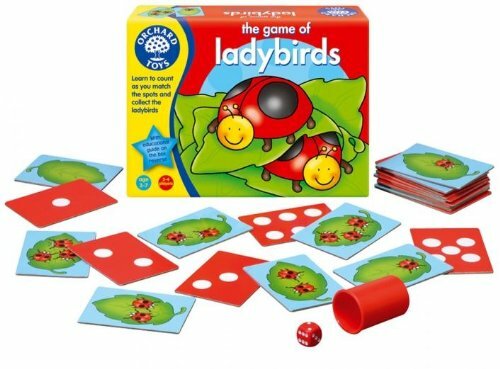 The Game of Ladybirds - great for practicing counting and adding on, important early math skills, as well as familiarity with dice, which is useful for quick number recognition. The object of the game is to collect as many ladybugs as possible, keeping count of how many you have. 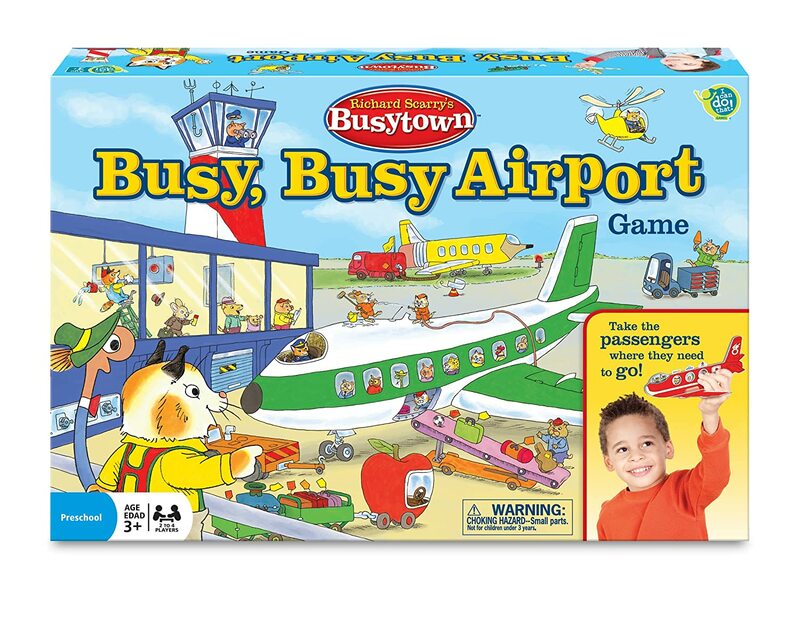 The Busytown Busy, Busy Airport Game - this one is perfect for those active little ones that aren't quite ready to sit down for a board game yet, as it involves moving around the room to deliver passengers to their destinations. 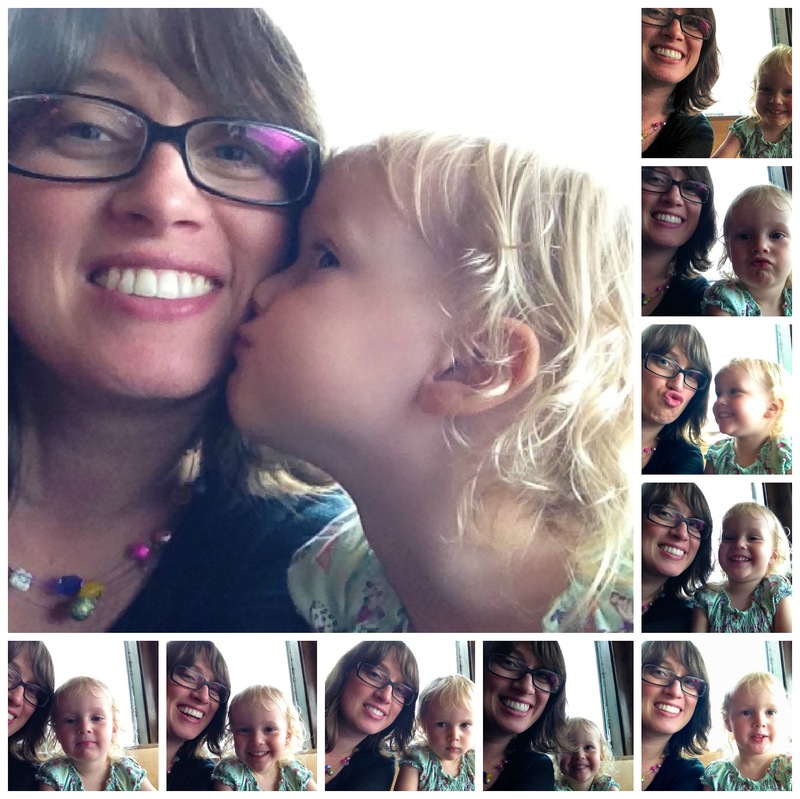 Super for practicing strategic thinking and problem solving. The object of the game is to deliver all the passengers to their destinations and collect souvenirs from all the places. Any kind of Snakes and Ladders type game - games where there are unexpected 'gains' and 'losses' that can't be helped are good for developing social skills and good graces. 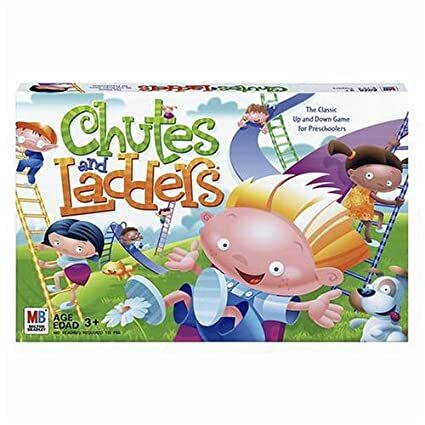 We have the My Little Pony version, but for some reason that is now very expensive on Amazon, so try this popular Chutes and Ladders version instead. The object of the game is to reach the finish first, but beware of setbacks. If you're lucky, you might even find some shortcuts. What are your family's board game recommendations? We'd love to hear them!